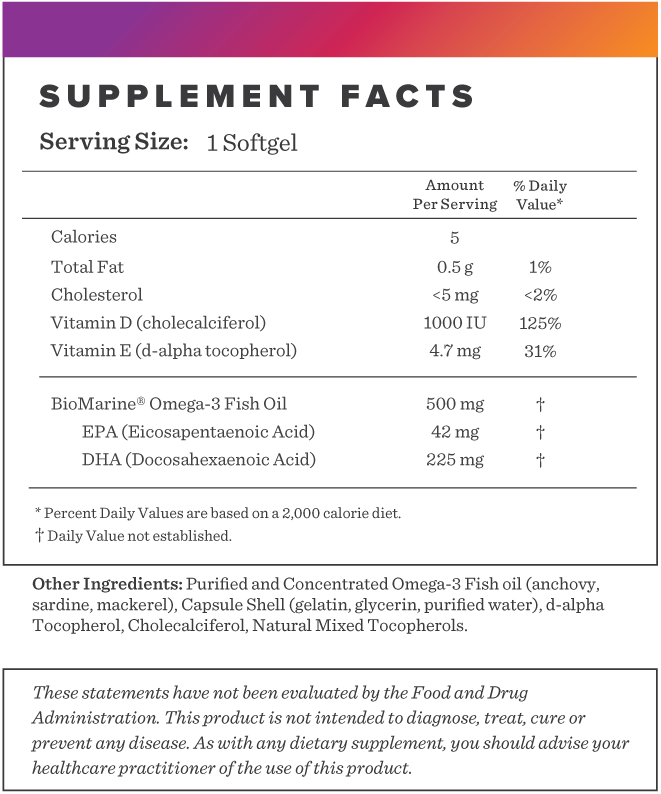 "Anti-inflammatory omega-3 DHA fatty acids are essential for eye and brain health. 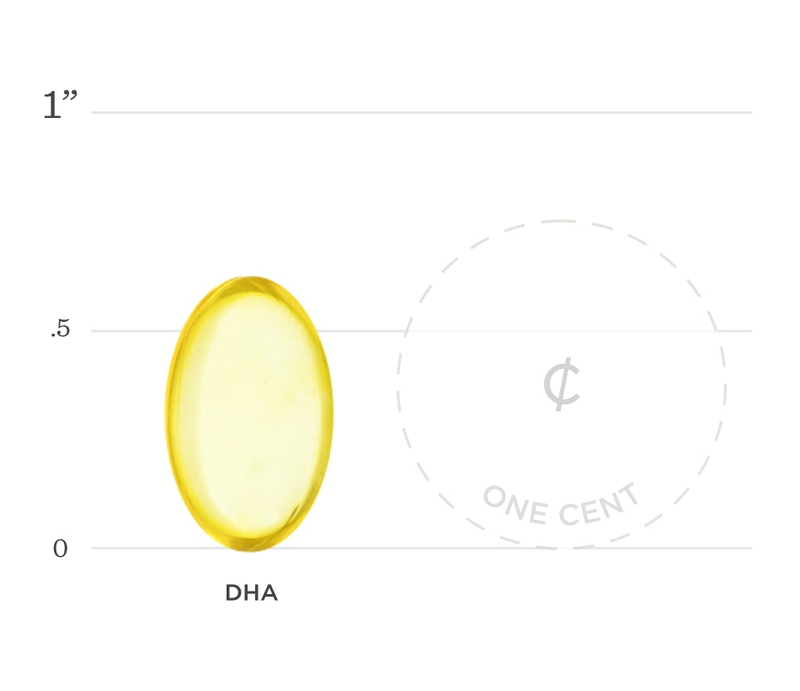 If you're not a fish-eater, omega-3 DHA supplements fill the bill." -Michael Roizen, M.D., And Mehmet Oz, M.D. Docosahexaenoic acid (DHA) is an important brain boosting Omega-3 fatty acid. Since the body can't produce it, getting enough in the diet or by supplementation is crucial. When the brain receives adequate amounts of DHA, it is able to produce hormones as needed which makes cell communication easier. DHA may support neurotransmission and cellular communication which can promote overall brain health and maintain a balanced inflammation response throughout the body. 1. Downie LE, Gad A, Wong CY, et al. Modulating Contact Lens Discomfort With Anti-Inflammatory Approaches: A Randomized Controlled Trial. Invest Ophthalmol Vis Sci. 2018;59(8):3755-3766. 2. Yanai H. Effects of N-3 Polyunsaturated Fatty Acids on Dementia. J Clin Med Res. 2017;9(1):1-9. 3. Mcnamara RK. Role of Omega-3 Fatty Acids in the Etiology, Treatment, and Prevention of Depression: Current Status and Future Directions. J Nutr Intermed Metab. 2016;5:96-106. Below we've broken down the main functions of our DHA w/ Vitamin D and the benefits it can provide. One study showed that those who supplemented with DHA reduced eye discomfort by 42% and saw an improvement in macular function. Sufficient levels of DHA has been shown to delay progression of age related macular degeneration. DHA supports nerve transmission and is required for maintenance of normal brain function in adults. A lack of sufficient DHA has been associated with cognitive decline. Supplementation has even shown positive results for depressive related symptoms. Because DHA is a type of Omega 3 fat, it can help balance excess Omega-6 fatty acids that are typical in the Western Diet, leading to decreased inflammation.